Erik is a partner of AWM Capital and Athlete Wealth. His personal mission is to inspire and guide people and businesses toward pursuing their dreams, desires, and a passionate life of purpose. 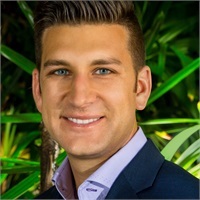 Prior to becoming a business and wealth manager, Erik was a professional baseball player with the Detroit Tigers and Seattle Mariners organizations. Erik is a CERTIFIED FINANCIAL PLANNER™ professional and holds a degree in Finance from the W.P. Carey School of Business at Arizona State University and the Personal Financial Planning Certificate from UCLA. Erik is the co-author of PAID: How To Maximize Your Signing Bonus, Simplify The Money Game and Secure Your Future and his new book, The Athlete Life Plan is set to release in 2017. Erik is a member of the Phoenix Chapter of the Financial Planning Association and a member at Redemption Church where serves as a Pastoral Resident. Erik lives in Tempe with his wife, Sadie and their daughter, Olivia Grace. In his free time, he can been found with his nose in a book, exploring the world of food and wine with Sadie who is a professional chef and enjoying the Arizona sunshine. Certified Financial Planner Board of Standards Inc. owns the certification marks CFP(R), Certified Financial Planner ™ and federally registered CFP (with flame design) in the U.S., which it awards to individuals who successfully complete CFP Board’s initial and ongoing certification requirements.